Proctor & Gamble Company (P&G) has voluntarily expanded a recent recall to include more dry pet food because it might be contaminated with salmonella and harmful to pet health, Forbes.com reports. Although no salmonella-related illnesses have been reported, the company opted to recall Iams Veterinary, Eukanuba Naturally Wild, Eukanuba Pure and Eukanuba Custom Care Sensitive Skin pet foods, just days after recalling some of its cat foods. According to the New York Times, P&G recalled two lots of prescription cat food for fear of salmonella contamination, as reported July 26. No canned food or treats were affected. A full listing of recalled UPC codes can be found on the Iams.com website. Forbes reports the recalled products, which have the potential to be detrimental to pet health, are sold in veterinary clinics and some pet retailers in the US and Canada. P&G has instructed consumers who have purchased any of the recalled products to throw them away. 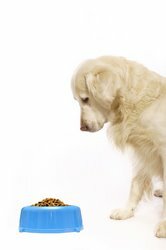 The news provider reported that that pet health and human health are both at risk, as humans who handle the food could contract Salmonella. P&G told Forbes that pet owners should wash their hands if they have direct contact with the product. Pets who contract Salmonella may display decreases in appetite, fevers and abdominal pain, the news provider reports. Symptoms in humans include nausea, vomiting, diarrhea, abdominal cramping and fever. Consumers showing signs of illness after having contact with the products should see their health care providers and any pet showing symptoms should be taken to his or her veterinarian. For more information or a product replacement or refund call P&G at 877-340-8823.